Comment: Replace several areas that are asphault (6x6,12x6 and pot hole).Will consider any suggestions by the contractor.Drive is over 1000' with turn around and circular at the entrance.Inaddition will need to reseal the entire driveway. This was done 2 years ago. Comment: I would like to get an estimate for Asphalt repair. We own apartments buildings, and need to keep up the parking lots and driveways. Comment: Approx. 800 sqft driveway. Remove old concrete and replace with asphalt. Cincinnati Paving Contractors are rated 4.79 out of 5 based on 245 reviews of 21 pros. 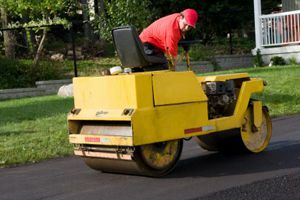 Not Looking for Paving Contractors in Cincinnati, OH?